With an extra few days to enjoy a long weekend, we all seek out the best break available – here we look at what the UK has to offer. The United Kingdom is a wonderful country with modern cities mixed in with culture and natural retreats; it really is the perfect location for those who like a piece of everything. Whether you are planning on a bank busting shopping spree or a modest holiday at one of the country’s caravan parks, you are sure to find your ideal weekend break. With so much to do and so many more things to see, London is the number one tourist spot in the UK – it’s not original, but everyone has to spend a few days in the nation’s capital at some point. London, it will come as no surprise, is definitely at the more expensive end of the spectrum – hotel rooms come at a premium, as do most other essentials, so budget accordingly. While attractions such as the London Eye, Thames River Cruise and Madame Tussauds do come at a cost, there is plenty for those looking to spend as little as possible. Hyde Park is a beautiful spot for a picnic with a number of events and attractions to behold. If you are really keen to see London in its fullest, booking a spot on one of the cities many open-top bus tours is an inexpensive must that cannot be missed. If London and big cities are not your thing then across the other side of the UK in South Wales is Pembrokeshire National Coast Park, ideal for those looking to take in more greenery than shop windows. The part is unique as it is the only national park to have been given the distinction due to its postcard-worthy coastline. With onsite accommodation to suit any budget, this Welsh park has to be high up on anyone’s long weekend shortlist. Stunning setting lends itself perfectly for romantic strolls with your significant other, losing yourself as you watch the sunset beyond the trees and plenty of events and attractions for any children on the trip. Carew Castle is a particular favourite for tourists, with medieval archery challenges and ghost tours on the menu. Sticking to the picturesque nature theme, York is a quintessentially English town packed with countryside and history. 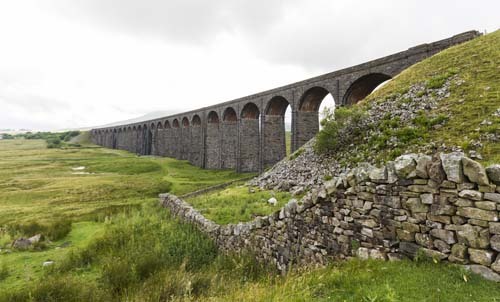 A long walk through the Yorkshire Dales is the perfect antidote for busy streets, not to mention the distinctly English countryside fresh air that will blow away any lingering cobwebs. The town itself is an exquisite token of days gone past with historical buildings wherever you look – York is one of the perfect long weekend breaks for couples looking for a romantic getaway. The Scottish capital has for more to offer than the famous Hogmanay New Year celebrations, although the opportunity to experience the annual tradition is not to be missed. Edinburgh has a wide variety of restaurants and places to drink, as one might expect, allowing the city to come to life with a vibrant night scene. A walking tour of Edinburgh Old Town must have a place on any itinerary, alongside the Grassmarket and the famous Gin Distillery, which concludes with a gin tasting session. 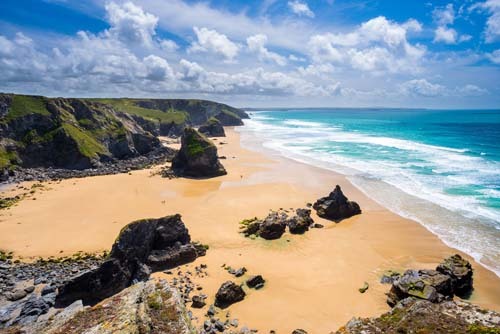 Cornwall is a British favourite with cheap accommodation, excellent views and over 400 beaches to choose from – the south-west county is a trekker’s dream. If you are planning a stay in Cornwall, Newquay is a popular seaside resort that sits on the North Atlantic coast with a permanent residence of 22,000 which often increases to as high as 100,000 due to its holiday accommodation. In May, Newquay is home to the popular ‘Run to the Sun’ event where tourists visit the town in Camper Vans and Beetles, as well as other custom made vehicles.